About ten guys spent Saturday at the club working on the yard drainage. Murph and Deadeye got the equipment to the club. The two downspouts on the front of the club were put into drains that were trenched underground and to the driveweay area. There a drain was installed and a trench was cut across the driveway and then across the yard to the creek. 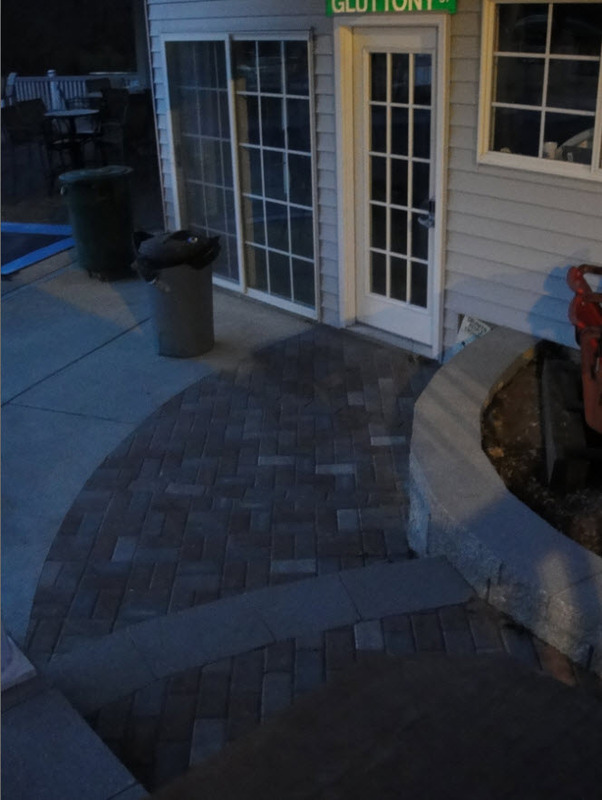 A french drain was installed alongside the driveway and connected to the drain to the creek. This should go a long way to solving our water problems in the yard. Those needing high fives for their work include, Dan Murphy, Don Schoendienst, Tim Daniels, Gerard Pfeffer, Dan Sucich, John Lee, Scott Taylor, Mike Green, Ray Staples. Jonco and Mark Bay (a Gizmo friend and Glutton wannabe) also helped out at the end. Rick moved some cones too. Truth be told, it was Murph’s friend Bob Cat that did most of the work. It was a group effort. One hundred sixteen days after the first ever marriage at the Gluttons club there was a second wedding. On Valentine’ Day Dan Sucich and Christa Rizzi were married at the club. Hardly any one knew this was in the works until they showed up for the Valentine’s Day/Mardi Gras party at the club. The ceremony was officiated by Jen Rieker. The pool was also covered and winterized. The Board authorized the purchase of a new commercial lawn mower for the club. 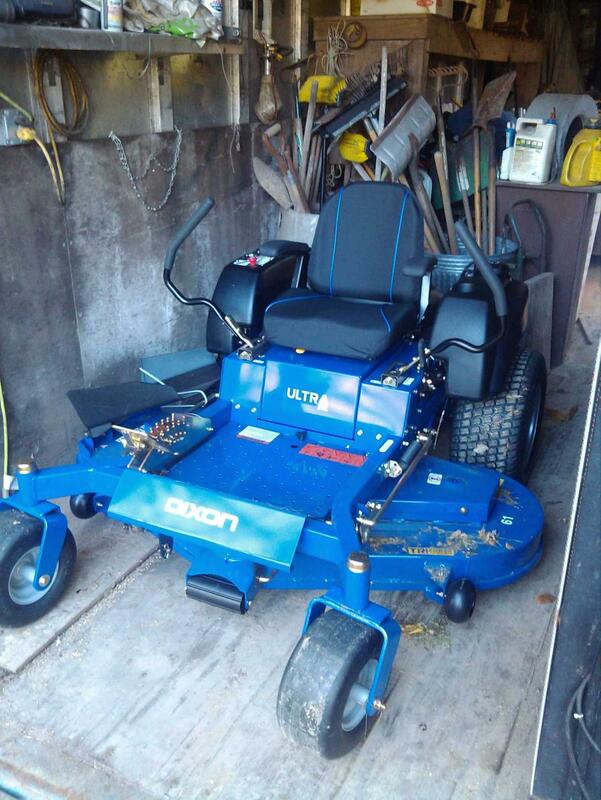 It’s a 61 inch Dixon gas powered zero-turn mower. It was purchased from Western Equipment Co. in O’Fallon MO for $4499. Click image to enlarge. We’re going to wait until it gets closer to springtime before we purchase a weed eater and blower for the club. 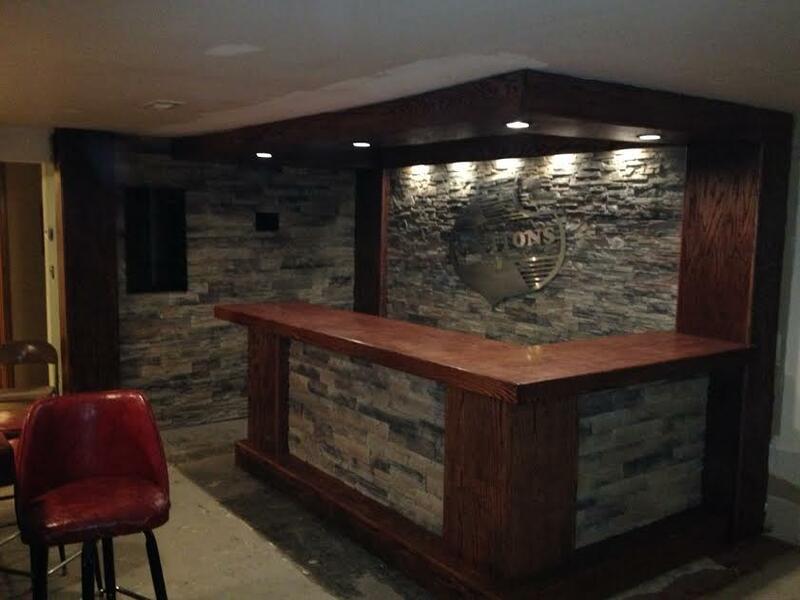 Finishing touches were put on Thursday night as the newly remodeled bar room takes shape. Still needs a little paint and carpeting. Looking great! Will be ready for the St. Pat’s Party on Saturday. Click images to enlarge. 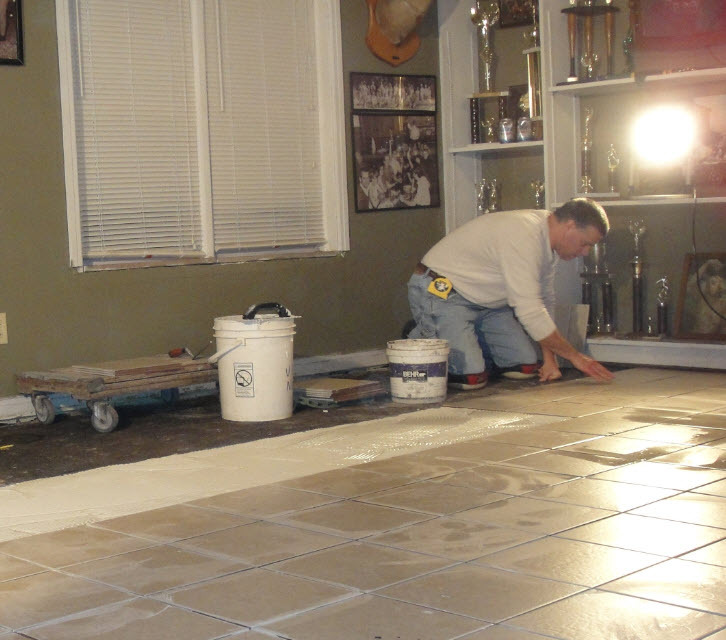 The Board decided to gut and renovate the bar room at the club. This will be a fast project and is expected to be completed in about 5 weeks, hopefully in time for the St. Pat’s Party on March 15. The plan is to allow more people space and open the traffic areas a bit. 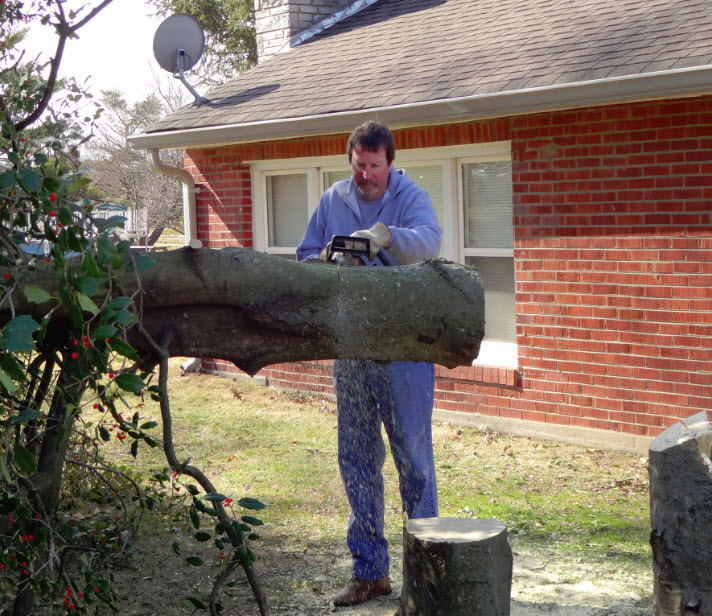 Larry Green helps guide the big berry tree down in the front yard at the club. 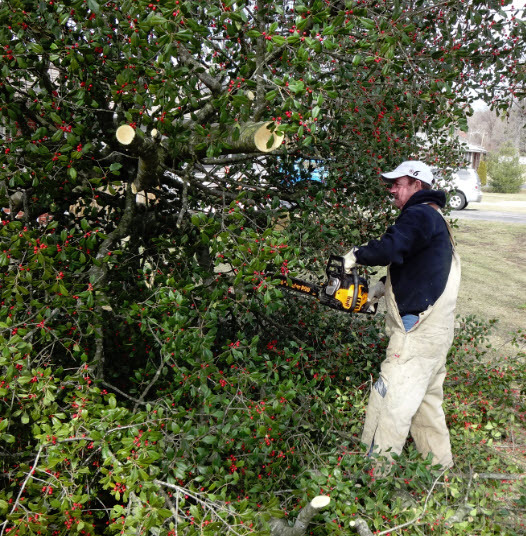 The membership voted to remove the tree as the berries create quite a mess. 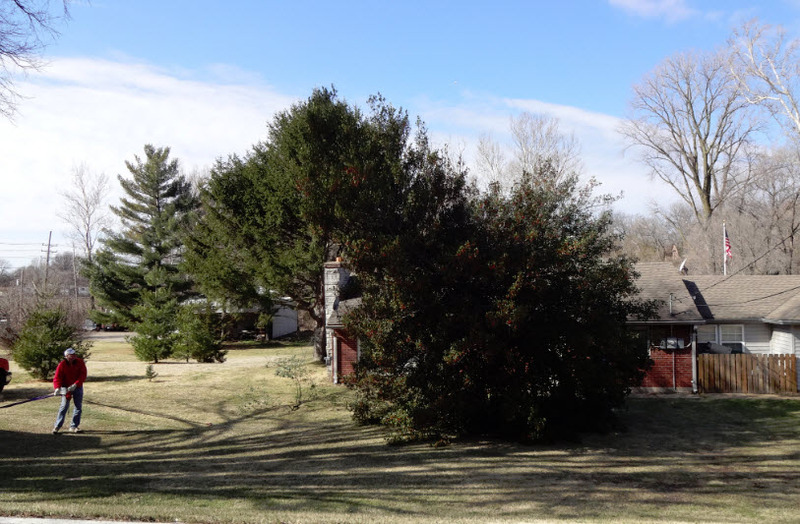 A new landscaping plan will be developed for the front of the club. The Glutton club is the proud owner of a pizza oven. We also have a stock of pizzas that you can buy and cook for $5 each. You must pay for the pizza on an honor basis. This is a trial program. If the pizzas get paid for we’ll continue the Feed Starving Gluttons Program. The new key entry and alarm system has been installed at the club. So, be prepared to use your new key fob to gain entry to the club. The old card reader WILL NOT work. You will need your personalized key code to get into the clubhouse (actually you need it to leave). If you don’t have a new key fob yet or have forgotten your code contact Dave Heacock (314–574–3237) and he’ll get you one. When you arrive at the Club you will have to swipe your new key fob at the card reader outside the door. The door will unlock for 5 seconds and the alarm will be automatically deactivated. When you leave the club you must hit the Command button, then select Arm to arm the system. Enter your personalized code number in the keypad. The alarm will activate in about 30 seconds and the door will automatically lock when you leave. Remember, you must have the new key fob and your personalized code to enter and leave the club from now on. 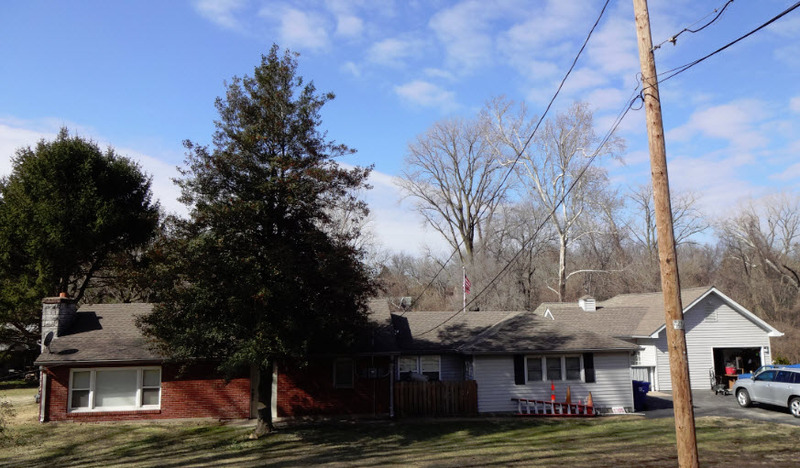 If you have any questions call Dave Heacock at 314–574–3237. Gettin’ it up… Old Glory looks on proudly as it’s new home is erected between tornadoes and storms last night at the Gluttons Club. 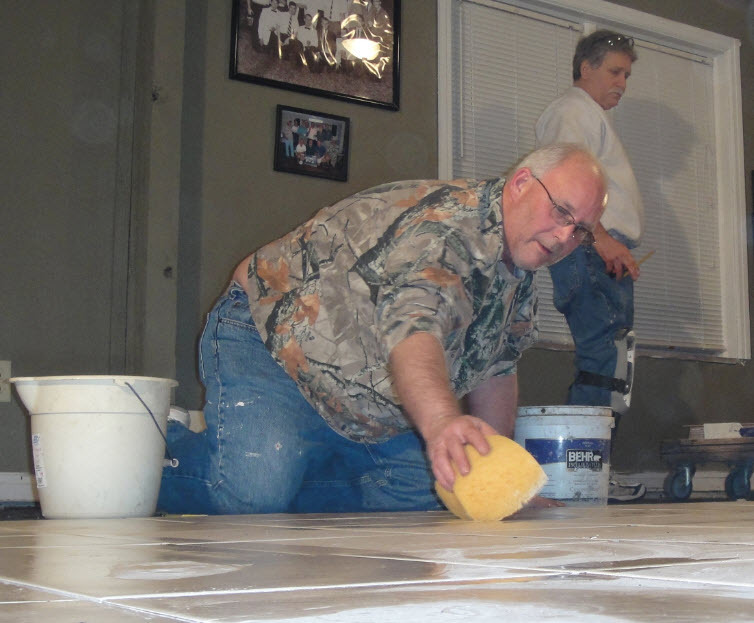 We have a new tile floor in the living room thanks to some hard work from Team Rowberry. 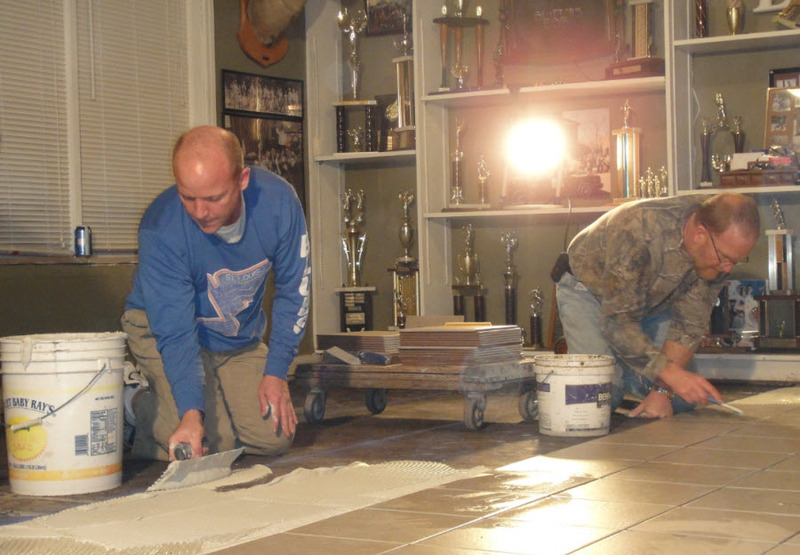 We cleaned up and painted the trophy room and living room area of the club. We also hung up the old pictures that have been sitting in the closet for years. We hung the big screen TV in the living room above the fireplace. The plan is to leave it there and get a new one for outside next year. The Board decided to ban fires in the fireplace. New carpet and tile are on the way. We kept all of the first place trophies and got rid of the 2nd and 3rd place ones because it was just too cluttered. The new entryway paving work has been completed. Dan Murphy and his elves have done a great job. All that still needs to be done is the railing, gate and landscaping. 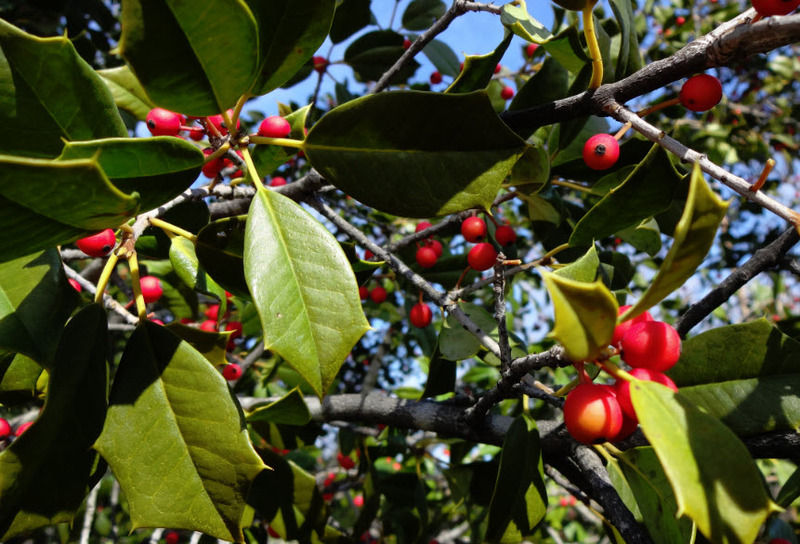 That work will take place in the spring. That step does take a little getting used to. Just ask Brother Rabbi Jim Murphy. Dan Murphy inspecting his handiwork on the new entryway at the Club. 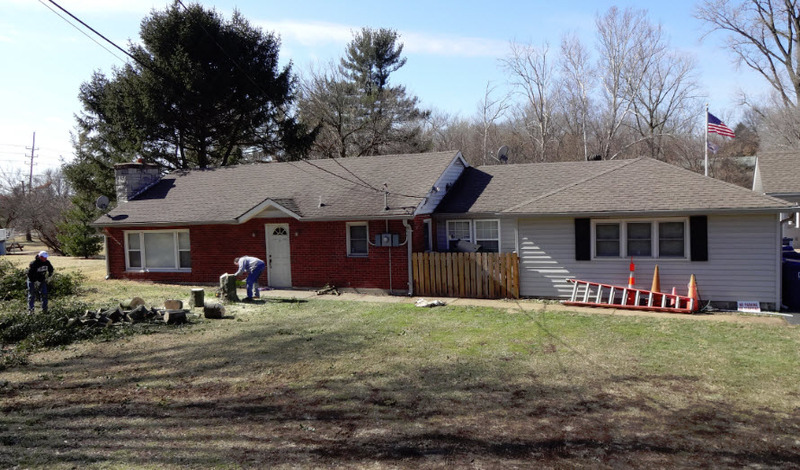 The project includes the walkway of pavers (as seen above), a new fence and redoing the area at the rec room door. Murph hopes to have the major work done by Thanksgiving. We now have a new 52” flat-screen LCD TV in the patio area. The unit was just over $1,000 with two mounting brackets, one for inside during the winter and one for the patio. The pool is open and the place is ready to rock. A lot of last minute work is being done to make the place nice for Memorial Day weekend. The outdoor kitchen won’t be done and there is a lot of trim work to be done yet, but the major construction is just about complete. If you haven’t seen it yet, you’ll be amazed. A lot of people put a lot of effort to make the place look great. See you this weekend! We have a new 47 inch Westinghouse flat screen TV in the poolhouse. Right now it works the same as the old one did – it plays whatever is on the TV in the bar room, but when we get new service it should have it’s own receiver. It is HD ready if we go in that direction.